When I started this blog I named it Almost Spring. I felt by my marriage ending, I was falling into the despair of winter. I pushed myself to focus towards spring, towards hope and a rebirth of me. After a while, I reached a state of forgiveness and was ready to let go of myself as half a couple. I fully embraced my individuality and felt that spring had arrived. Little did I know I had simply reached the end of autumn, my grieving over the decay and death of my marriage. I have had for a long time an image in my head of the circle of life. The spring of youth, the summer of middle age and raising children, the harvesting period of autumn when one enjoys the fruits of summer, and the winter of old age. In reality, life is not one circle from birth to death. There are transitions of letting go of old ways (autumn), reflecting on them (winter), before regrouping (spring) and celebrating (summer). For example, when our eldest son left home, I initially mourned having the six of us together before readjusting and embracing his life as an adult. I thought of my life as a tree. His leaves were lost in autumn; but in spring his own branch emerged. As a family, we had grown. And so to, with all the other milestones of my life, I went through the gentle rhythmical pattern of autumn, winter, spring and the joyous celebration of summer. However, this particular autumn (divorce), not only had I felt I had been denied my expected bountiful harvest; not only had all my leaves withered, dropped off and decayed; but someone had cut down my whole tree. It was with that realisation winter set in. Winter became for me a period of deep reflection. I cocooned myself and examined my inner most thoughts, values, beliefs, attitudes, needs and responsibilities. The storm of winter raged around me while I remained protected by my shell of hibernation. This ended abruptly with an epiphany, and a strong desire to move away from my old life completely. Now out of my protective shell, I began burning the remnants of my old life, and felt the intense pain of the loss of my old self in the burning process. It was not a transition I was now experiencing, it was a complete transformation. 1. Although my tree was cut down, I still have my roots (close family, friends, my inner soul) and those roots have received nourishment by the reaffirming of my values and beliefs. 2. My tree trunk is in intact, sustained by strengths of my education, talents and experience. Those have survived the cutting down (by my husband) and the burning (by myself) of my marriage and previous life. .
3. New greenery is emerging in the branches of my life (health, career, relationships, community). 6. It was my marriage tree or branch that decayed and died, not my tree of life. Whilst I may have missed the expected harvesting of the fruit from my silver years, I managed to rescue some of its seeds. My dilemma for a while became whether to savour them (by nurturing me) or plant them. I now do not see a simple re-growing or nurturing of my old tree or even a growing of a new tree. What I now see is the emergence of a whole forest. This entry was posted in Becoming 'me', Divorce, Letting Go and tagged circle of life, determination, Hope, Inspiration, new beginnings, Positive, Transformation by elizabeth2560. Bookmark the permalink. May your tree grow tall, healthy, and experience lasting joy! Thanks so much. Your support means a lot to me and I am grateful. I am working on growing that tree, especially the ‘joy’ part. Pure Poetry. You’re a poet! I don’t mean to diminish the hardships and pain of your life; but I can see clearly, you have a poetic sensibility. Your experience, because of your gifted way of expression, is helpful to and instructive for us. I never thought of my writing as poetic. This intrigues me. Tell me more (about your definition of poetry). Oh my goodness–I ‘ll have to come back to this. I just typed a nice little essay on my definition of poetry and the comment monster ate it. Frustrating! Oh yes, I agree with russtowne. There is nothing more healthy a strong, positive attitude to make life spring forward. Some parts of existance, even though they ache with pain, must be put to rest before happiness rekindles anew. Like passing from winter to summer, spring is in the air. I know it’s easier to say than do, but from what you’ve said, the time has come to let bygones be ‘bye-gone.’ You’re ready to leap, and don’t even look back. We’re rooting for you. Thanks so much. I like your expression of ‘bye-gone’. That seems sensible to me. I love the imagery of the tree and the seasons, and I see you as a strong tree that bends, but does not break, and has deep roots. Your spring is here, so, embrace it! Yes, the analogy of the tree with deep roots is one that works well for me. So inspiring, Elizabeth. Thanks so much. I love the imagery of seasons and renewal as well! Thanks for a great read! I have been playing with this imagery for a while now, of life being like the seasons going round a full circle. However a post of yours back in early June (It was actually about creativity, if I remember correctly) gave me the concept of repeated laps. At the time you commented to the effect that you envisioned the ‘laps’ gradually getter higher like a spiral. I found this intriguing and motivating (although too much to explain in this one blog post how my ideas have progressed on this…. more about that later). Love the metaphors of the seasons; you’ve described the many phases of life so beautifully. I’m entering a winter with my eldest and appreciate your light in that winter darkness. There are many ‘winters’ we encounter in our lies. Hold on tight, you will survive this. Love:) I wish you many fruitful growing seasons and plentiful harvests! I am finally seeing the light. Now all I need to do is turn the thoughts into actions. I love this analogy Elizabeth! You are so good at describing your experiences. I’ve said it before and will say it again: this blog should be made into a book! What a beautiful knowing you have moved into over this past year. That first year I remember as being a lot crazy and horribly upsetting in many ways. Throughout were moments of awareness which became the building blocks to a different life than the one I had before. I LOVE your expression of the building blocks (or seeds). That is SO true. In those early wild and crazy days, it was comforting to pick out one thought or seed and stash it away for future reference. Now the pain is easing off, I see those seeds beginning to grow. It is an amazing experience. Hello. Thanks for stopping by. Do you have a blog? I cannot seem to click on it. Yes, there was another, 28 years younger. Obviously his idea for the future was a completely different direction than mine. Each of us has only one life to live. 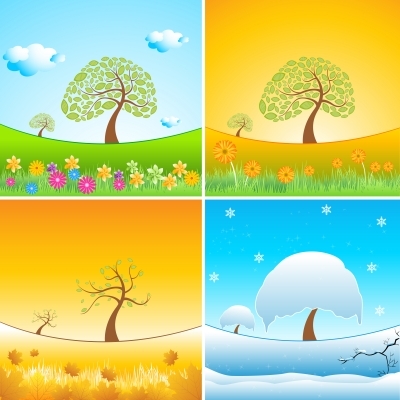 We all go through different seasons. I have the feeling, that you, dear Elizabeth, are completely open to life again and determined to enjoy every bit of it. Thanks for making me think of all the seasons in my life. These reflections are a wonderful read. Wishing you joy and peace for Christmas! Love, Uta. Vielen Dank für Ihre freundlichen Worte. Ich bin dankbar. Nice analogy. . . I like the way you describe the various seasons and the tree. I think that I have written about starting my ‘new beginnings’ about 200 times in the past two years…. that is the wonderful part about transforming, and changing my attitude, I get to have a new start every day. This is a great analogy about the cycles of life and how it still thrives. We have trees here that only reproduce after a forest fire – they are the tallest in the northwest. Fire can be renewing and thats the wonder. Yes, I found the analogy uplifting. Thanks for your support the past year and for your great posts. I have really enjoyed them. I am offline now for three weeks. I will ‘see’ you in the new year. Good for you, Elizabeth – for creating transformation rather than surrendering to defeat! And thanks for stopping by and “liking” my article. Transformation rather than surrendering is difficult at times, yet liberating.Thanks for your positive affirmation of my process. I really am not sure why I didn’t comment on this, Elizabeth. When your son got married, you had a special story to share at their wedding. Yes, there is plenty of people who I care about and who care for me to connect with and harmonize with. Thanks. I enjoyed going back to, and catching up with you in this way.